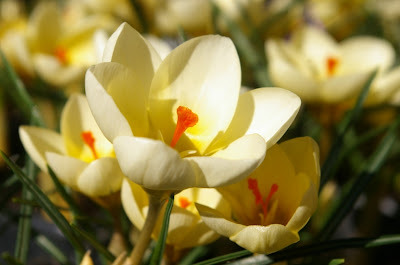 ﻿﻿﻿At intervals of 30-40 years, for the past two centuries, a major monograph on the genus Crocus has appeared in English. The sequence starts in 1809 with Adrian Haworth's 'On the cultivation of crocuses with a short account of the different species known at present', followed by William Herbert's 'A History of the species of Crocus' in 1847. George Maw's beautifully illustrated Monograph of the Genus Crocus appeared in 1886, and remained the dominant botanical monograph for nearly a century. For gardeners, however, the most useful and comfortable reference was E.A. 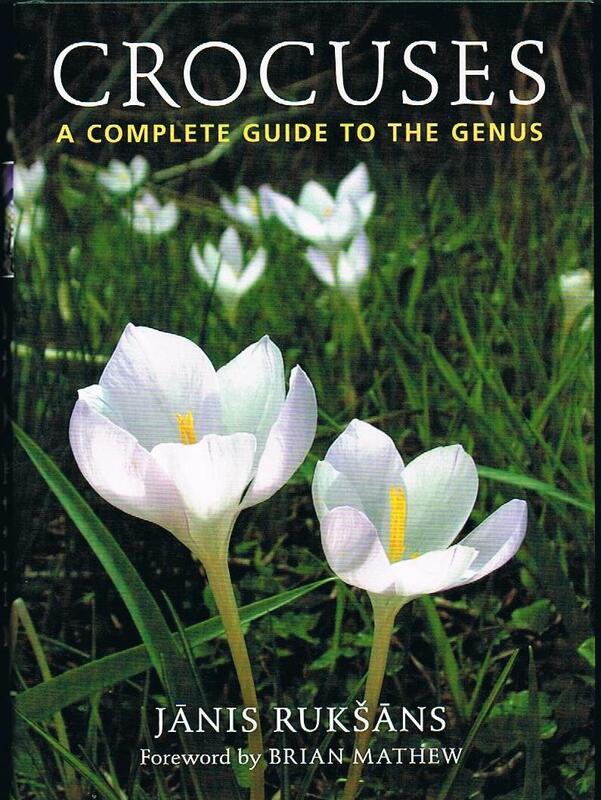 Bowles's A Handbook of Crocus and Colchicum, which interspersed personal experience with botanical fact in a charming and very readable way. It first appeared in 1924, with a revised edition in 1952. In 1982 Brian Mathew published his The Crocus, a then up-to-date account of the genus, and although now showing its age, it remains an invaluable reference. Each of these, and innumerable lesser publications, has built up our knowledge of this remarkable and beautiful genus, whose morphological complexity is belied by the apparent similarity of flower shape in most of its members. This distinguished line has now been joined by Crocuses, a complete guide to the genus, by the Latvian bulb expert and enthusiast, Jānis Rukšāns, just released by Timber Press. I heard of it circulating in the United States about ten days ago: it was a great relief when my copy arrived on Saturday. It is seldom that I have sufficient time - or interest - to read a hortico-botanical book through from cover to cover but, despite various distractions over the weekend, I have done it with this fascinating book, and enjoyed every page. One of my Crocus tommasinianus x C. vernus selections, also illustrated in the book. 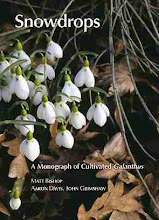 This is a botanically-minded gardener's view of crocuses, in the Bowlesian tradition, rather than a botanical monograph like those of Maw or Mathew, but Jānis has the advantage over all his predecessors of having seen the vast majority of the plants he describes in the wild. This gives him a unique perspective into variation within the genus, and within species. With a reasonably generous allocation of photographs, this variation is illustrated as never before in a published work, with the images being of uniformly excellent quality. I note, however, that the image labelled C. korolkowii 'Snow Leopard' is of a different clone to the true entity, featured here last week. On the other hand, one of the pictures (of a Crocus tommasinianus x C. vernus seedling) was taken in this garden, and Jānis is kind enough to mention that he has seen the extreme variability in colour possible in C. tommasinianus here too. 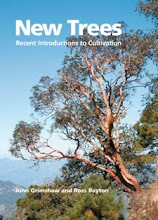 Inevitably there are a number of taxonomic changes that will result in familiar plants being relabelled: most garden clones generally called C. sieberi (strictly a Cretan species) should be assigned to C. atticus (mainland Greece), and C. albiflorus (alpine meadows) and C. heuffelianus (northern Central European mountains) are segregated from C. vernus, from more southerly lower places. These make a lot of sense, and I'm sure will be widely accepted, but the proliferation of subspecific taxa (22 at present) in the Crocus biflorus group is mind-boggling and one has to query, as indeed Rukšāns does, if such subdivison by small populations is really useful. It is a great tragedy that cheese-paring by Timber Press led to the excision of 20% of the manuscript of this not particularly large book (only 216 pages) and this economy seems to have been applied to their copy-editing too. Jānis has an idiosyncratic style in English and a voice that needs to be preserved, but the failure to render some sentences grammatical does him and his text no services. An omission that will be felt by many is coverage of familiar clones available in 'the trade' - these are definitely not the author's interest, but it is always handy to be able to check on a comment on something one is more or less familiar with. A very interesting point, however, made repeatedly, is how frequently mass-produced clones are heavily virus-infected and are neither safe nor fit to grow. The reader will need to make compensation for the cultivation notes being derived from Latvan conditions, which are so different to those pertaining in, for example, southern England, but there is a very useful table indicating the conditions each species requires. Crocuses give me more pleasure in their season than any other flower, and although I make no attempt to grow the more demanding taxa (and there are many! ), this book will inspire me afresh to delve deeper into their wonderful diversity. Thank you, Jānis!